Built for fun and relaxation, these incredible pools and decks take outdoor entertaining to the next level. Take a break and browse through these impeccably designed backyard retreats. Festive lighting and ample seating make this traditional backyard pool a fantastic spot to entertain. Seating is grouped into zones for conversation, dining and poolside lounging while ample terraces connect the indoor and outdoor spaces and offer great views of the retreat-like backyard. 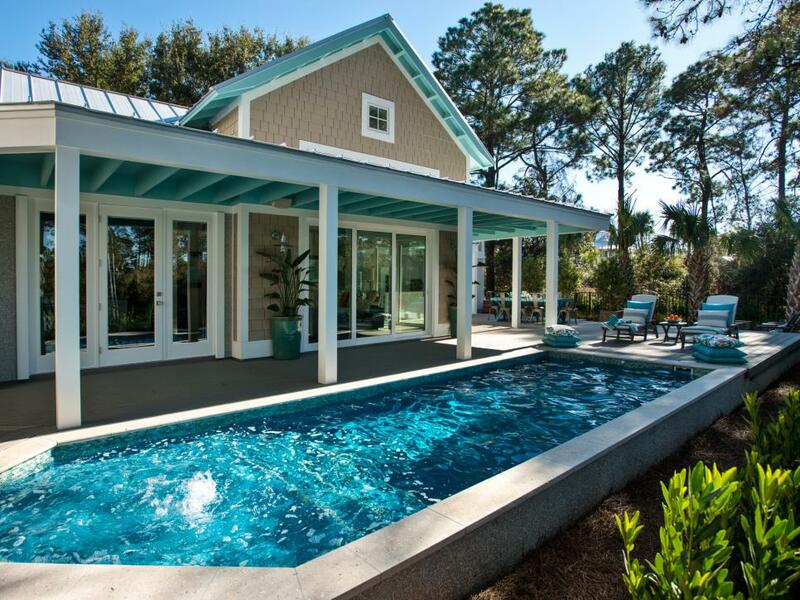 This 600-square-foot wraparound deck from HGTV’s Dream Home 2013 is clad in durable garapa wood and features a plunge pool, all-weather outdoor furniture and stellar views of the Kiawah River. 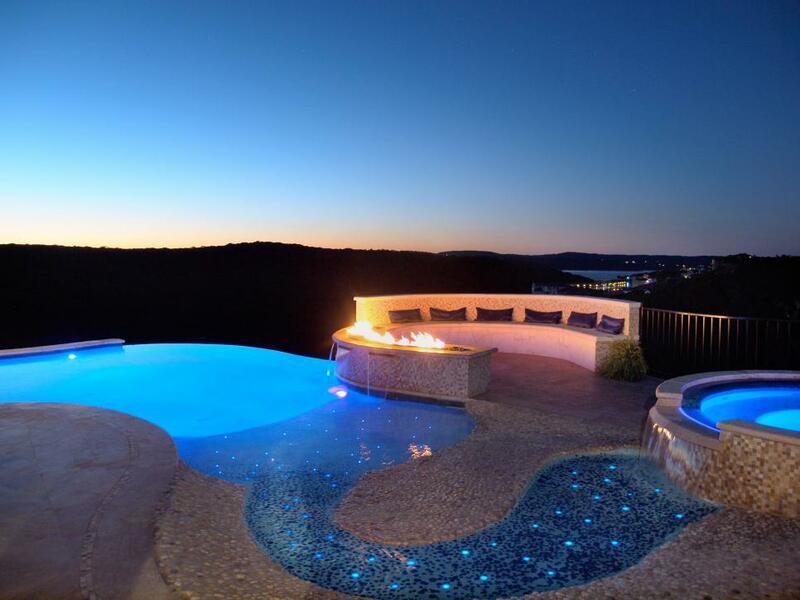 A pebbled stream with twinkling underwater lights flows from the hot tub to the pool in this dreamy outdoor oasis. A curved outdoor fire pit with semiciricle bench extends out from the stone deck, providing a spot to enjoy the stunning view. This sun deck from DIY Network’s Smart Home 2013 is built from sustainable composite material and is the perfect spot to enjoy nature, sunbathe or entertain friends and family. The refreshing modern pool features frosted glass mosaic tile, a programmable water fountain and two high-intensity swim jets for exercising. 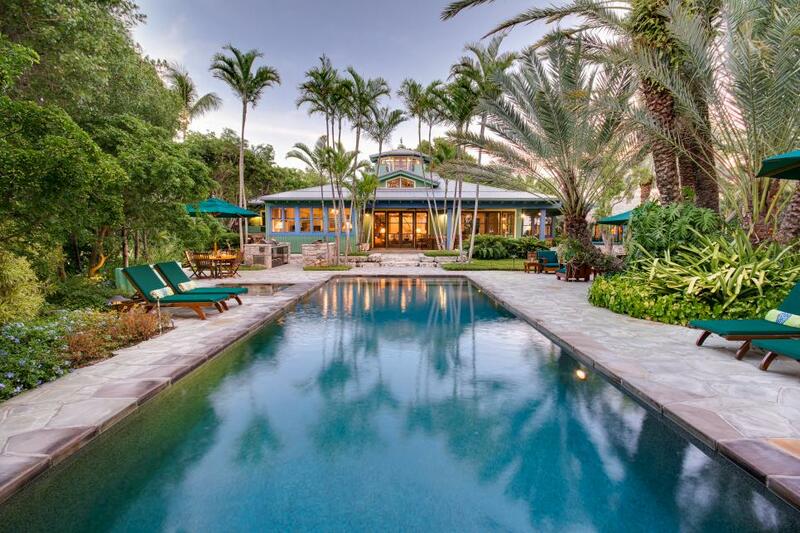 Serene and stunning, this grand pool is nestled among palm trees and tropical landscaping. 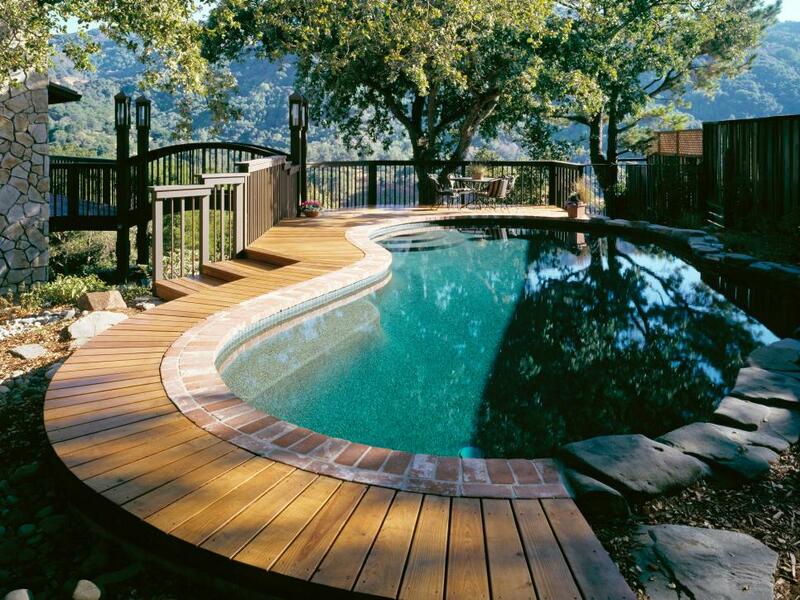 This gorgeous mountainside pool deck is built from an eclectic combination of brick, redwood and stone materials. 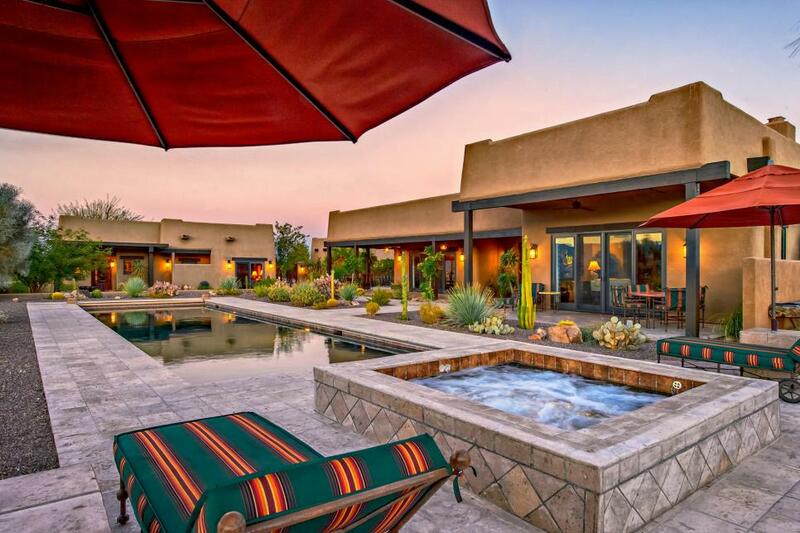 Bold-colored patio furniture adds style and shade to this classic Southwestern pool patio. The pool and patio area in this luxury home’s backyard is the perfect place to unwind on warm evenings. 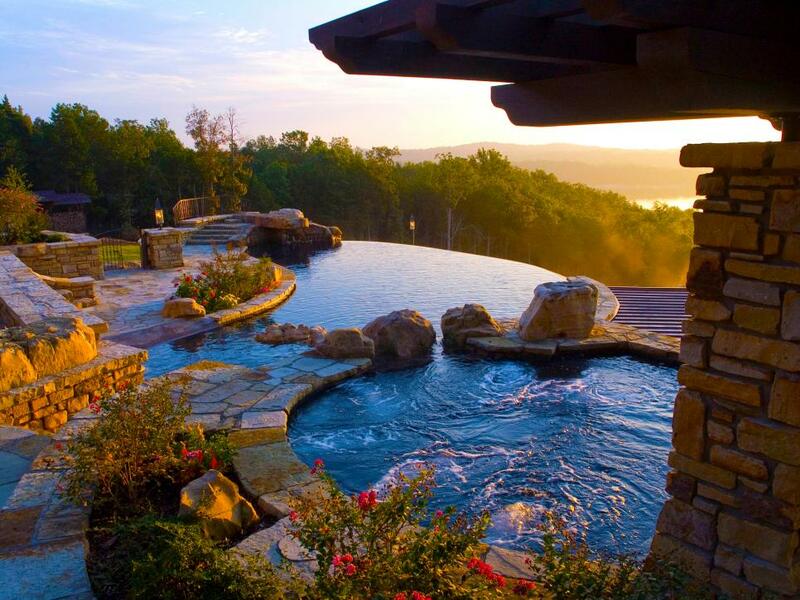 This stone deck features a raised spa and infinity edge pool overlooking a breathtaking mountain lake. Real boulders and stone coping separate the pool and spa, blending the retreat in with its natural surroundings. 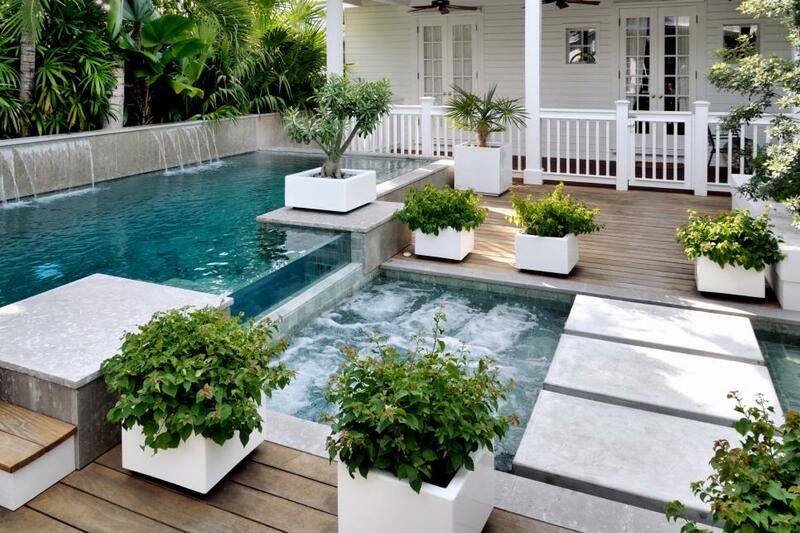 If these don’t inspire you to build and design a pool perfect for you backyard I don’t know what to tell you. Get out and enjoy your pool.